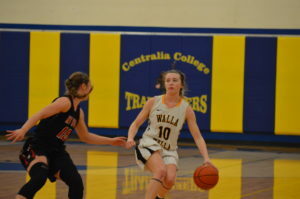 (Centralia, WA) The Walla Walla Warriors were looking to sweep the Crossover Tournament and the shorthanded Pirates gave al they had but in the end simply could not resist the Warriors. 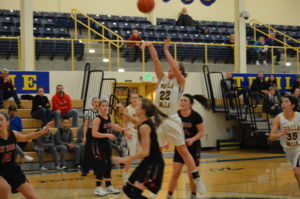 Led by Cierra Jo McKeown who went off for 21 1st half points came out firing putting up 26 in the 1st and 21 in the 2nd quarter to sprint out to a 48-28 halftime lead. 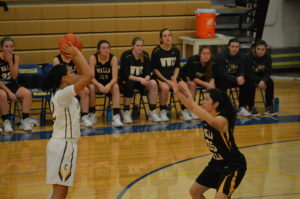 Walla Walla continued to cruise through the 2nd half where they clearly were playing not only a beat up team but a very tired team who only had 7 players available to play and then lost one of their starters for the last 5 minutes on top of it. 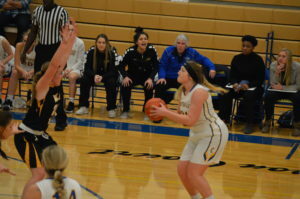 The big 3 for Walla Walla again led the way with McKeown finishing with 29 while Teresa Acock added 16 and Jade Skidmore chipped in 14 and had a double-double with 12 boards. 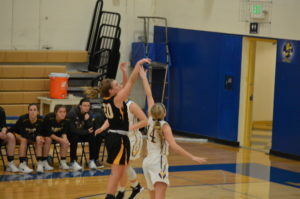 Kate Renfro was effective off the bench with 9. 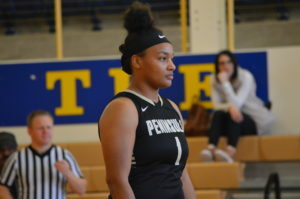 For Peninsula, Jamellia Clark hit for 18 and nearly matched her rebound total pulling down 17 for her own double-double. 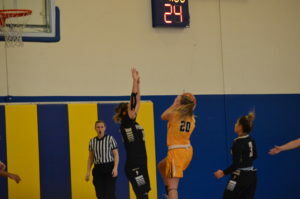 Tiffani Smith added 14. Smith and McKeown earned our Awards West Printwares Player of the Game for the Pirates while McKeown got it for Walla Walla. 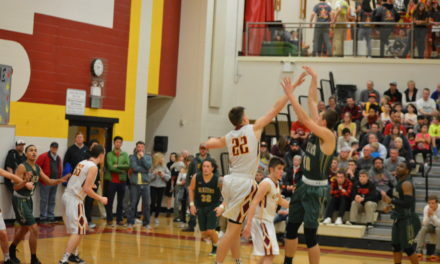 The Warriors are now 10-1 while Peninsula remains winless. 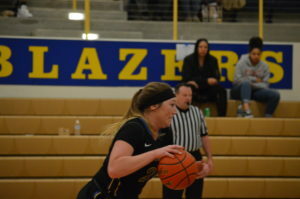 (Centralia, WA) The Blazers knew they would have to deal with a speedy and swarming pressing defense and they struggled in the first half. 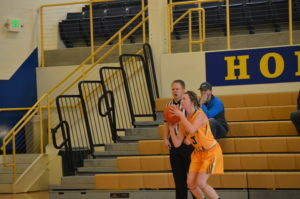 Although they led after the 1st quarter they trailed at the half. 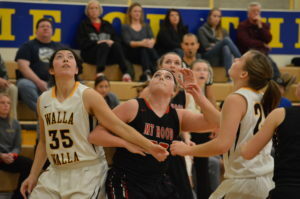 Centralia would give up 17 of of Mt Hood’s 34 points by turning the ball over. 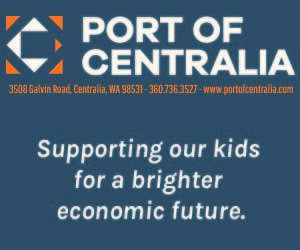 Centralia Coach Caleb Sells told us they worked on the press and talked about it but until you experience it is when the real challenge comes into play. 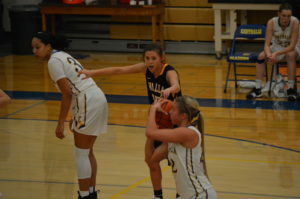 At halftime Sells urged his team to continue the late success they had with breaking the press but also had to get a hand in the face of Mt Hood’s Madison Allen who lit up the nets with 6 3-balls off the bench. 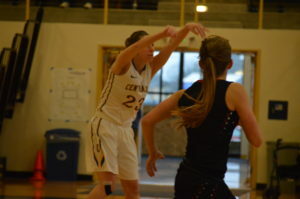 Centralia trailed by 2 at the half then fell behind by 4. 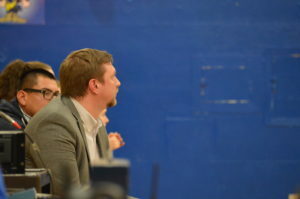 It looked like playing the 3rd game in 3 straight days was catching up with the Blazers as Mt Hood’s bench was far deeper than the 2 reserves rotating in for Centralia. 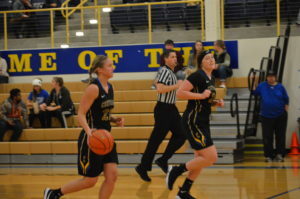 On top of it, point guard Joni Lancaster and wing Kayla Howard had played 110 straight minutes heading into the 4th and final quarter and no relief in site. 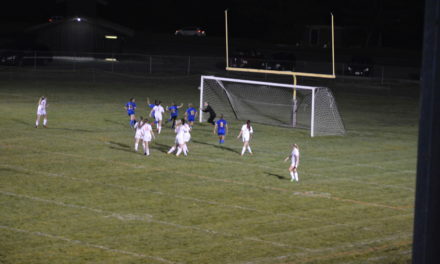 The 2 iron ladies would not only finish the game putting in 120 minutes each but would lead the comeback with the workhorse in the middle Kylie Smith. 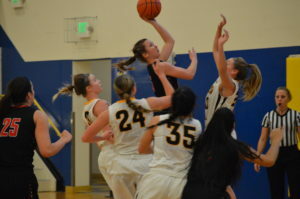 The 3 of them led the comeback coupled with lock down defense holding Mt Hood’s explosive offense to just 8. 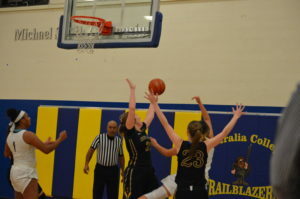 The Blazers knocked down 20 to pull away for the win and end up 2-1 in the Crossover Tournament. 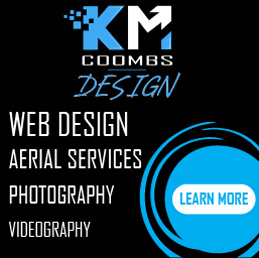 The Blazers spread their offense around like crazy 6 of 11 ended up in double figures. 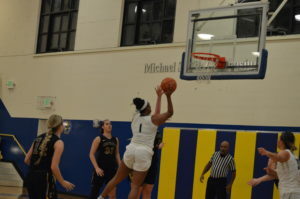 Isabella Elwood, Courtney Kemble and Majesty Claybrooks joined Lancaster, Howard and Smith while the 7th player Jamie Connally also scored a free throw so all 7 were in the book. 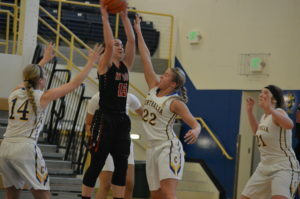 Centralia is now 6-3 on the year while Mt Hood dropped to 3-7. 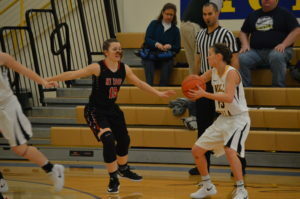 Our Awards West Printwares Players of the Game went to Centralia’s Joni Lancaster and Mt Hood’s Madison Allen. 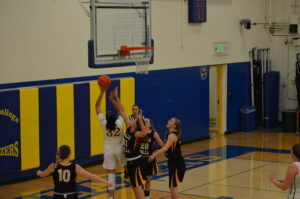 (Centralia, WA) The Warriors got off to a slow start on Friday and Head Coach Bobbi Hazeltine told us prior to the game with Mt Hood it was important that they get off to a fast start, well her team certainly listened dropping 27 in the 1st quarter. 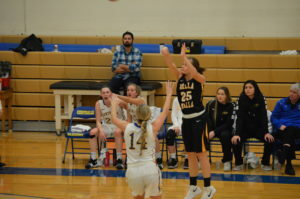 Walla Walla’s defense was also potent holding the Saints to just 8 and that 19 point deficit would be too big a hole to dig out of in the end. 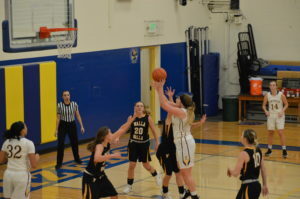 The Saints would make a run in the 2nd quarter and chipped away at that 19 pulling within 14 with just seconds remaining and a chance to get it to 11 or 12 when they turned the ball over and Cierra Jo McKeown made them pay draining a 3-ball just as time expired to push it back to a 17 point lead. This really seemed to deflate the Saints a bit after working so hard to turn it around and only gaining 2 points. 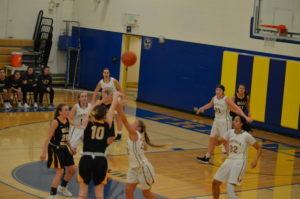 The Warriors put it away quickly in the 3rd quarter with another outstanding defensive job holding Mt Hood to just 7 while knocking down another 21 and would cruise to their 2nd win of the weekend and 10th on the year. 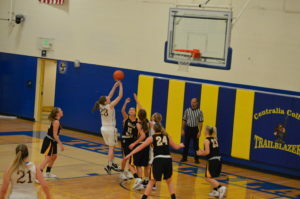 The Warriors had 5 players in double figures led by McKeown’s 16. 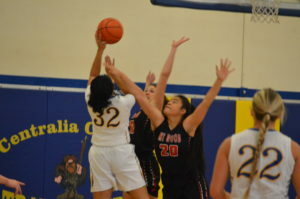 Other starter’s chipping in included Adriana Peralez with 13 and Jade Skidmore had 10. 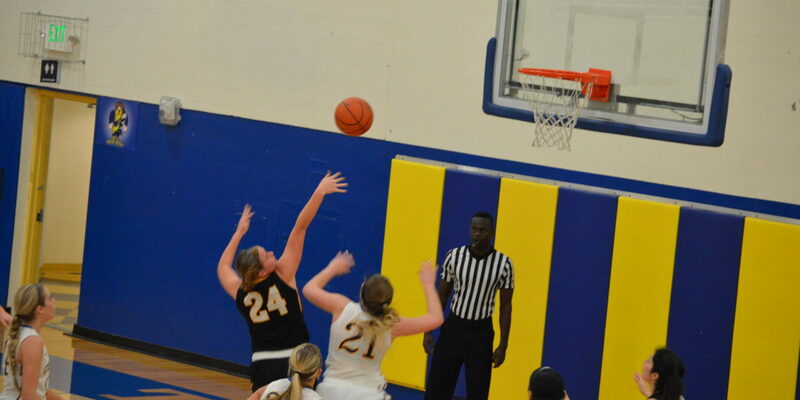 2 players off the bench came up big too, McKenzie Gunter had 14 and Kaileigh Dietrich-Denton with 12. 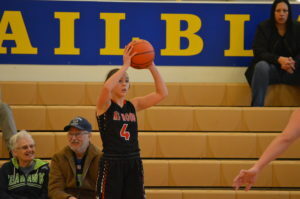 For Mt Hood, McKenzie Long was the only one to crack twin figures with 12. 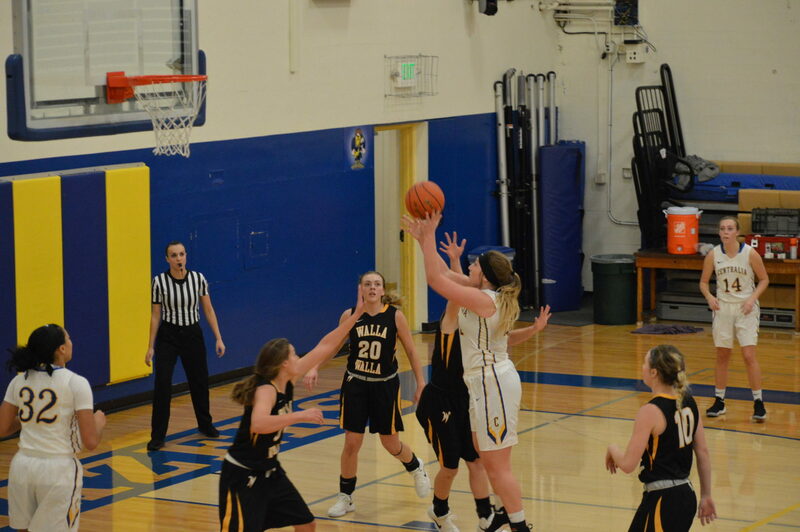 A pair of McKenzie’s earned our Awards West Printwares Players of the Game, Gunter for Walla Walla with 14 points also had 5 assists, 4 rebounds and a blocked shot. 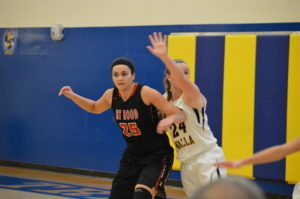 Long for Mt Hood had the dozen points, 4 rebounds and a steal. 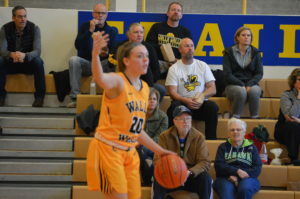 Walla Walla wraps up the Crossover Tournament Sunday at Noon with a game against Peninsula while Mt Hood plays at 2p against the host team Centralia. 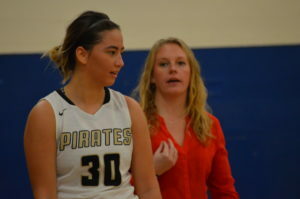 (Centralia, WA) The Peninsula Pirates came into this tournament a little short-handed and it got worse on Friday night when starter Yamilei Rodriguez injured her ankle and is out certainly for the rest of this tournament if not longer. 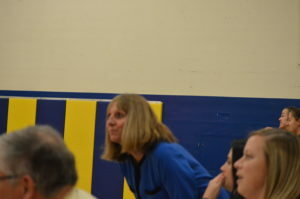 That left Head Coach Alison Crumb with just 7 players to take on the host team Centralia Blazers. 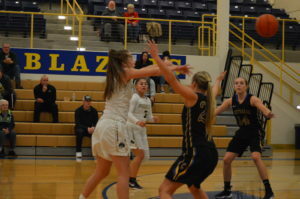 The Blazers were coming off a solid effort against now 10-1 Walla Walla staying in the game all the way til the end where the Warriors pulled away to win by 12 with a 3-point shot at the end of the game. 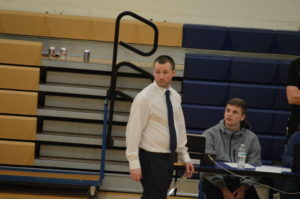 Blazer Coach Caleb Sells thought they could have pulled off the upset if their offense had been halfway of what it could be, they did lead after 1 by 3 but had the chance to build a significant lead on the Warriors but could not get the ball to drop for them. 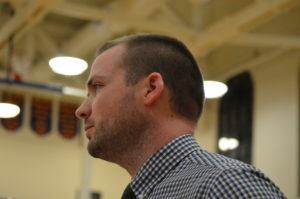 Sells stressed to his team to get off to a fast start on Peninsula. 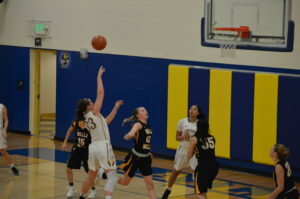 Well in fact they did not get off to a fast start and the Pirates were turning in a gutsy performance leading through most of the 1st half and taking a 31-30 lead to the break. 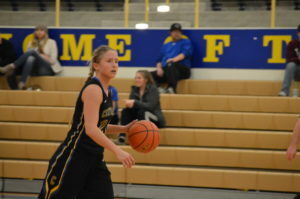 Ashlynne Sharp led the Pirates with 9 and Kayla Alvarez had 8 including 2 long balls. 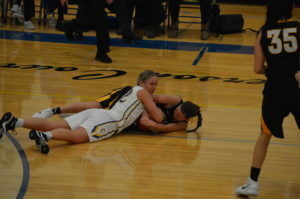 Jamellia Clark was a force inside and scored 6 of her 14 in the 1st and was limited after picking up her 2nd foul. 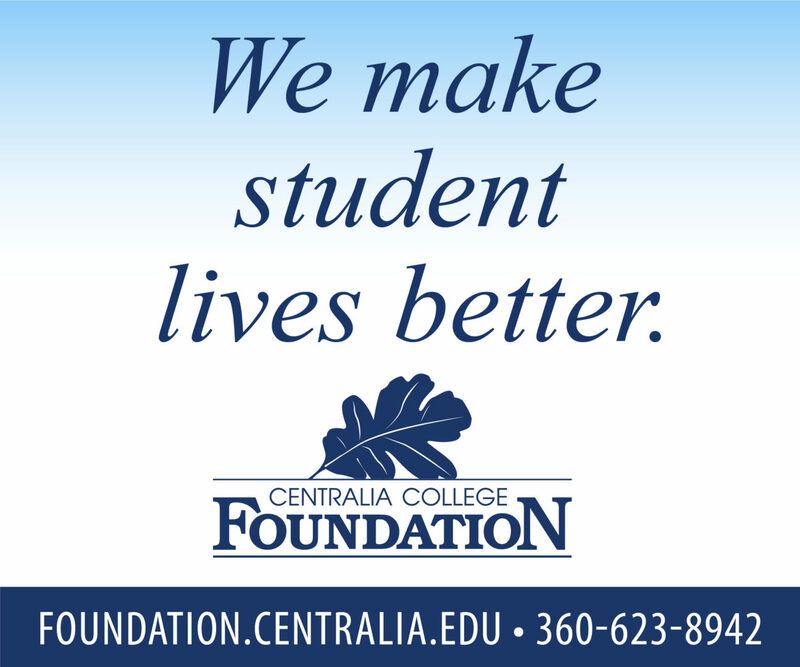 Centralia got things going late in the half scoring 20 after only a 10 point 1st quarter. Kayla Howard had half her 6 3-balls in the 1st to lead the comeback and Kylie Smith’s ferocious work in the paint led the team with 10. 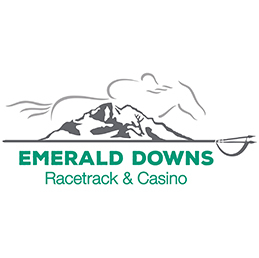 In the 3rd quarter the Blazers definitely got off to the fast start Coach Sells wanted at the beginning of the game and put up 21 for the quarter. 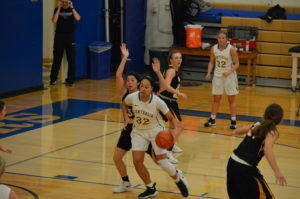 They finished strong with another 14 while clearly the Peninsula squad was getting worn down and simply could not keep pace as the Blazers improved to 5-3 and Peninsula remained winless. 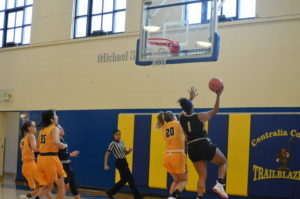 Smith capped a big game with 24 points, 11boards, 4 assists, 2 blocks and 1 steal for an all-around solid performance. 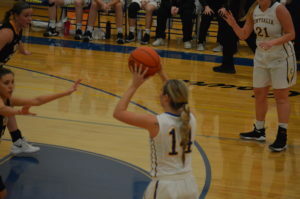 Kayla Howard finished with 18 with 6 3-pointers as her deadly aim came back into focus following a 1-12 effort on Friday. 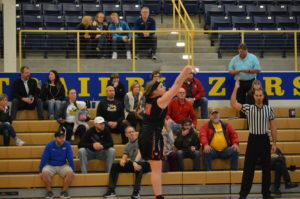 Isabella Elwood came off the bench and had a huge game for the Blazers. 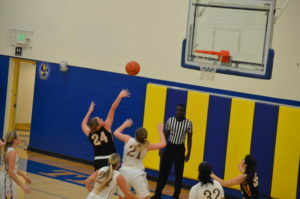 She scored 10, grabbed 8 boards with 3 assists and a steal in just 23 minutes of work. 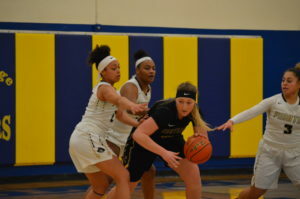 The Blazers also with just 7 available also got solid efforts from point guard Joni Lancaster, Courtney Kemble, Majesty Claybrooks and Jamie Connally. 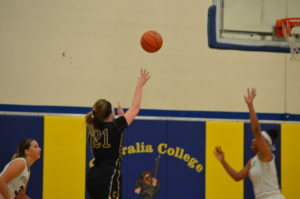 (Centralia, WA) The Mt Hood Saints used a huge 2nd quarter to take their 1st lead in the game and never look back. 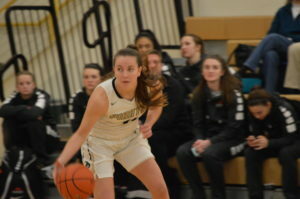 Peninsula jumped out to a 13-10 lead after the 1st quarter but Mt Hood found their groove and knocked down 25 2nd quarter points while holding the Pirates to 13 for the 2nd straight quarter and the Saints too a 35-26 lead into the break. 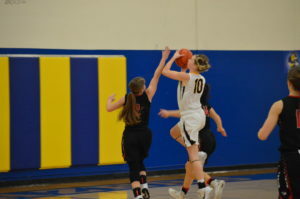 The 2nd half was nearly a push with Mt Hood scoring 18 and 17 while the Bucs had 14 and 17 for the final 13 point margin. 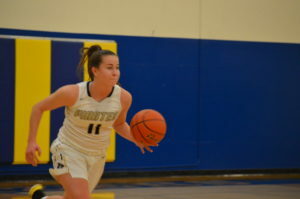 Courtney Jackson led the Saints with 15 while there was a well spread out offensive attack with 9 others scoring for Mt Hood but only one other in double figures and that was McKenzie Long with 10. Jackson also led in rebounds with 6. 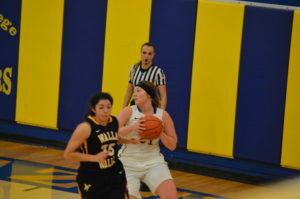 For the Pirates it was Ashlynn Sharp single handedly keeping them in the game with 24 along with 5 rebounds and 2 assists. 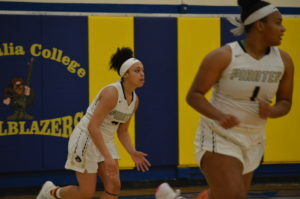 Jamellia Clark was good for most of the other points with 18 and they combined for 42 of the 57 points and if you include Tiffani Smith’s 9 the trio combined for 89% of the offense. 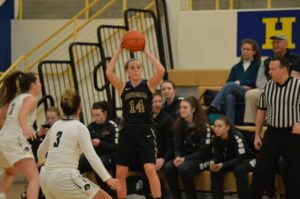 Clark also led Peninsula with 8 rebounds while Smith was right behind with 7. 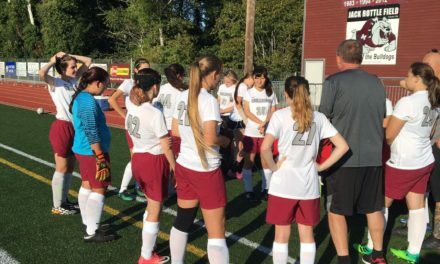 On Saturday, Day 2, Mt Hood plays Walla Walla in a battle of the 2 opening night winning teams and Peninsula gets the host team Centralia. 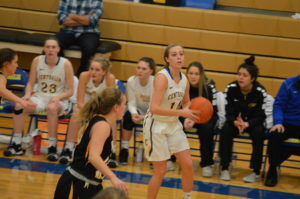 (Centralia, WA) Walla Walla got off to a bit of a slow start and fell behind the host school Centralia after the 1st 10 minutes 15-10. But the Warriors got better with each quarter while the Blazers stumbled especially in the 2nd quarter. 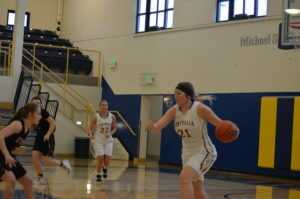 Walla Walla put up 15 while the Blazers managed only 4 and fell behind at the break 25-19. 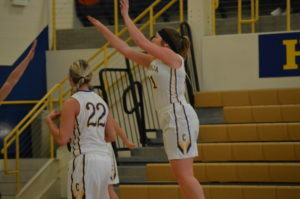 Cierra Jo McKeown led the Warriors with 8 points while Teresa Acock hit 2 of her 5 3-balls in the first half. 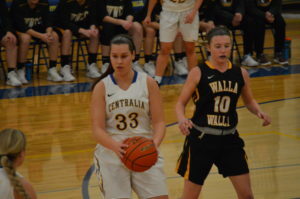 In the 3rd quarter the 2 teams played even but it was a late 7 point surge from the Warriors that again left Centralia trailing. The Blazers worked hard to dig themselves out of a 9 point deficit to tie the game at 34 but the 8-1 run in the final 2 minutes put them behind again by 6. 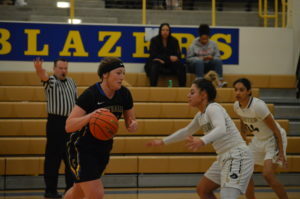 In the 4th quarter it was Walla Walla pulling away and Centralia had to resort to launching outside shots trying to play catch-up and just couldn’t get on track as the Warriors outscored them by 6 for the final 12 point difference. 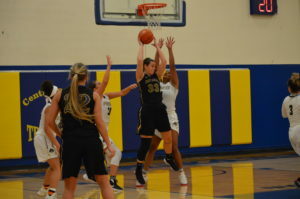 McKeown led the Warriors with 19, Acock had 15 while Jade Skidmore knocked down 12 plus pulled down 13 rebounds for a double-double. 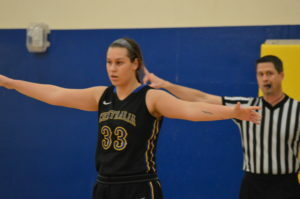 For the Blazers, Kylie Smith had her own double-double with 14 points and 13 rebounds both leading the Blazers. 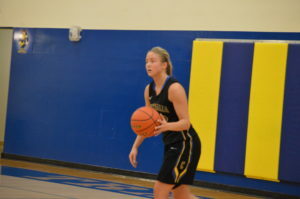 Courtney Kemble added 12 with 3 long balls and 3 free throws. 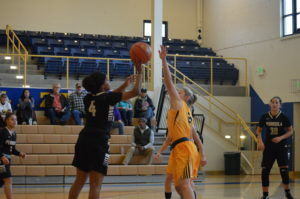 Kayle Howard had 7, Joni Lancaster 6 and Isabelle Elwood and Majesty Claybrooks each had 4. 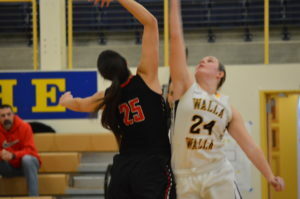 Walla Walla plays at 4p on Saturday against Mt Hood and Centralia faces Peninsula at 6p. 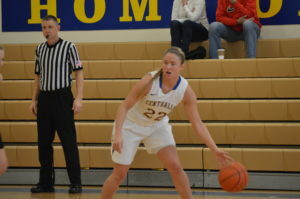 Our Awards West Players of the Game went to Kylie Smith for Centralia and Jade Skidmore for the Warriors.